Here are some of the tools, programs, and services that I use to simplify my life. Important Disclosure: Some of the links below are affiliate links, which means that if you choose to make a purchase, I will earn a commission at no additional cost to you. I recommend these products and services because I use them myself and they make my life easier, not because of the small commissions I make if you decide to buy something. Please do not spend any money on these products unless you feel you need them or that they will help you achieve your goals. SiteGround is the hosting company I use. They are AWESOME! As a former owner and operator of a hosting company, these are the only folks I recommend. I moved my sites from other providers to SiteGround for markedly faster loading times at a lower cost. SiteGrounds service is quick and secure, and their technical support is simply amazing. I prefer chat sessions for technical support, and I have never been left waiting nor have I ever been disappointed in SiteGround’s service or ability to help. Although their entry level plan is great at $3.95/month, I recommend their Grow Big plan with managed WordPress hosting, which is only slightly more expensive and includes a year of SSL support (for https transmission and page links). You will need this to securely accept payment and/or login information on your site. And since Google’s search algorithm now prefers https page addresses, it’s more important than ever to have https support. WordPress makes everything so much easier, with easy-to-install plug-ins that do almost anything, and responsive design themes that work seamlessly together to deliver an exceptional experience to your audience. It’s never been easier to get your site up and running. For all my web sites, I use Avada’s Classic theme (by ThemeFusion) which I can easily customize, update, and extend. I love this theme because it is easy to use, even if you’re not a programmer. 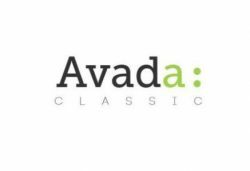 Avada offers with many pre-designed styles and pages for almost any type of business, or even for events like weddings. You can review any of these demos, and import them with one click. I especially love the Fusion Builder, which helps you easily drop in and customize pre-built page elements and effects. I use ConvertKit to build my email lists and manage my newsletters, email training, and other communications via email. It’s simple, and uses rules and tags to organize email addresses/contacts into lists without causing repeat charges for the same person. I think that ConvertKit’s ability to deliver email is superior to some of the other prominent (and more expensive) email list managers. Also, there are a number of excellent tutorials to help you get started. 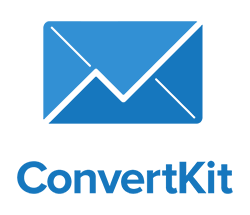 Leadpages helps me establish that first communication with my audience, easily and effectively collecting the contact information they provide me via the web, emails, text messaging, and on social media. I love Leadpages because their pre-built templates are completely customizable and built to convert. They help me provide a great experience for my readers as they opt-in to my free offers and newsletters, or sign up for courses or course waiting lists. And if you use a hosted WordPress site, Leadpages plug-ins make it easy to include their forms and pages directly within your web site. Bright Line Eating is the program I used to lose 40 pounds. I’ve tried many different weight loss programs, but this one intrigued me because it helped me understand how my brain might be blocking me from losing weight, and there was no specific exercise component to the plan (that part is up to you). Take the food quiz to find out how susceptible you are to addictive foods. That’s the first step. Susan Peirce Thompson is the founder of this program, and she is the real deal. She is an expert in food addiction and the brain science behind it, and so you will soon see why some strategies work and others don’t. If you want to be “healthy, thin, and free” as the Bright Line Eating tag line encourages, then try this out and you will receive loving support from Susan, her team, and from me as you take this journey.